The folding mast structure has the advantages of simple, great durability,saving cost and makes the repair more convenient. Using the high position-oriented structure for the frame, which guarantees the verticality between kelly bar and ground,keep the construction more convenient, improves the working efficiency,increasing safely. 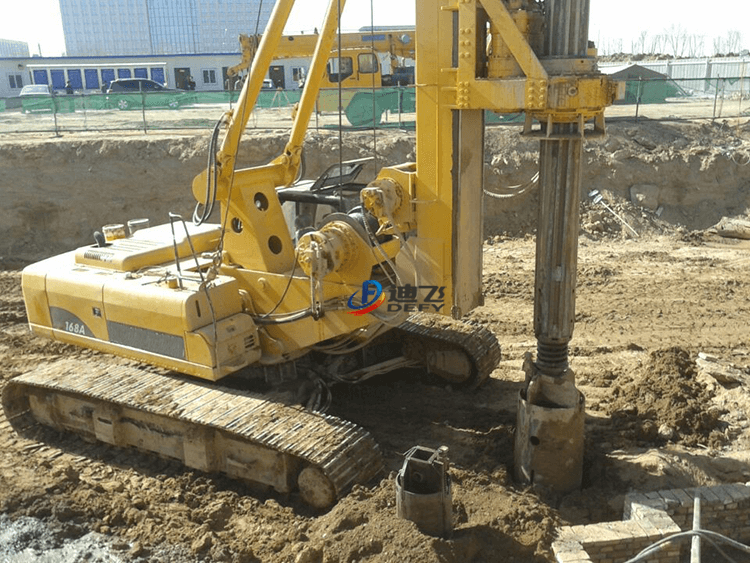 Power head of DFR-168A piling machine adopts unique patented structure, which save cost and make repair more convenient. Main windlass: Adopt in original imported Italy hydraulic motor from Italy.It has sensitive reaction and can free down,which speed can be up to 70m/min,and improve the construction efficiency.Main winch lays in the operator’s right field of vision (enable operator to observe working condition of main winch freely).This kind of situation is not only simple but also practical.